June was a whirlwind! 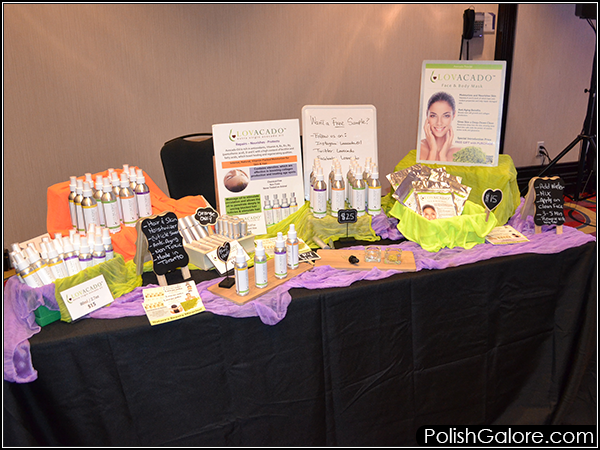 I hadn't been out of the States in over 10 years, but I was happy to go to Toronto, Canada for the inaugural Indie Expo Canada, hosted by Girly Bits Cosmetics. 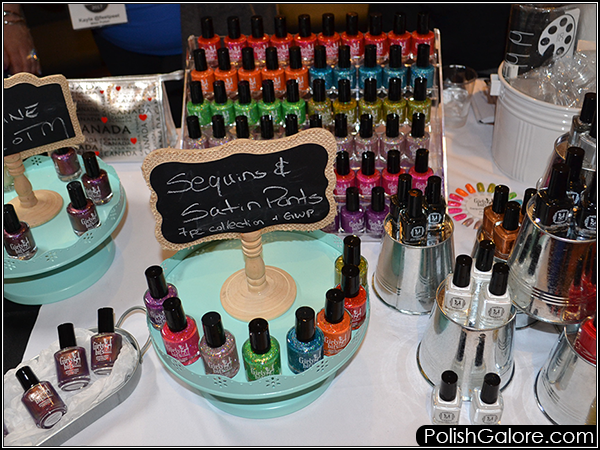 In case you missed it, I was able to report all the awesomeness from the Nail It! Instagram Story as well as some things I shared on my own IG. I was also a panel speaker for the afternoon, talking about all things indie along side YouTuber Zenorah, Colors by Llarowe creator Leah Ann Larowe and Claudia Murillo, owner of Lovacado. I also got to have a write up on Nail It mag - definitely check it out here. So I was enjoying avocado toast (seriously) and totally spaced on the time and didn't get to the hotel in time for my press preview. I tried to get as many photos as I could and chat with both indies I know and love, as well as some amazing new ones! Did you know Alter Ego makes Dog Shampoo? I don't have a dog but I would be all over this product! 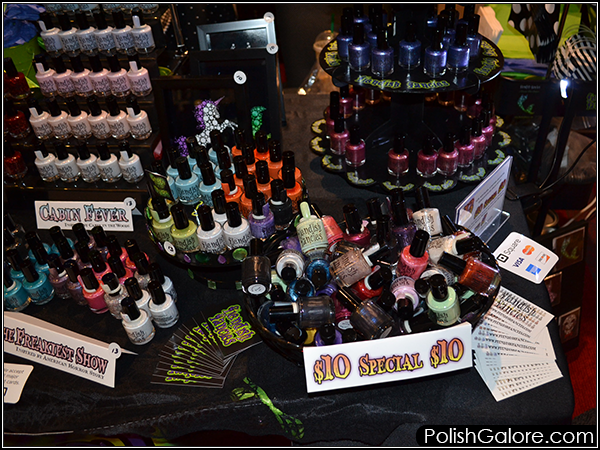 Beyond The Nail is a new brand to me - they had a great showing of polishes and nail vinyls! 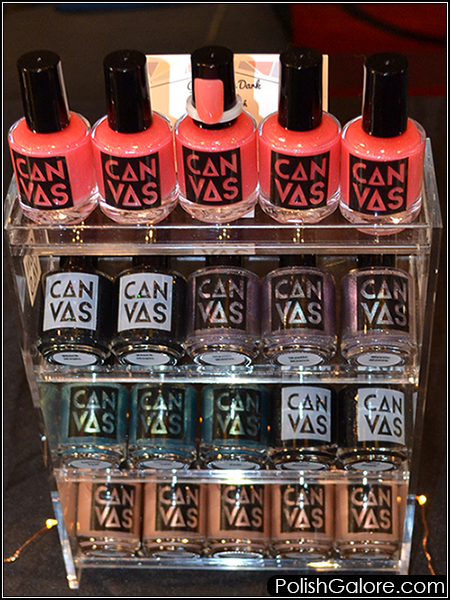 Canvas is also a new brand to me. They had some amazing cuticle oils as well and I bought Spring Forward to go home with. Colors by Llarowe is definitely a fan favorite. I picked up a couple including one for my dear friend Cassie who was there in spirit. 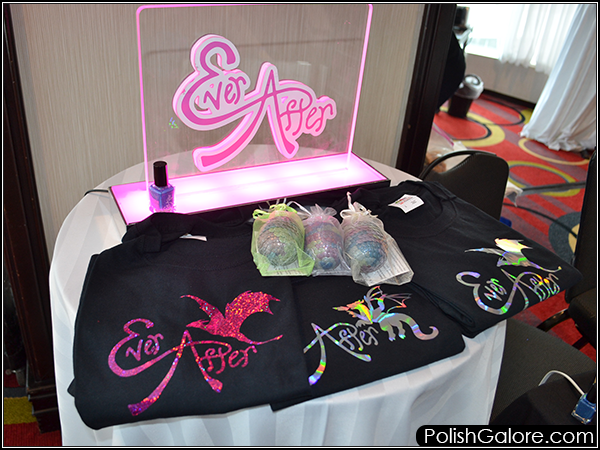 Ever After was there with her holo shirts and gorgeous dragon eggs. They also had some amazing new collections and collaborations that I snatched several up! Fair Maiden was there in spirit! Although the ladies couldn't be there in person, they had a showing including a gorgeous limited edition. 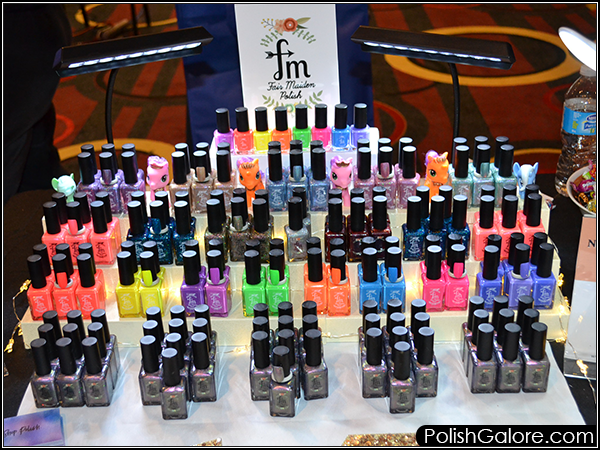 Fiendish Fancies is a new to me brand - she does a lot of horror conventions and most of her polishes are based in the horror/fandom realm. She's also super sweet and very creative! Great Lakes Lacquer had this great set up every time I see her. 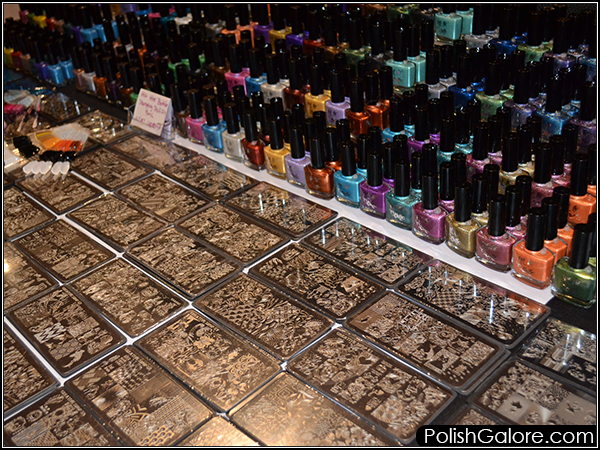 And the polishes? To die for. Hit The Bottle had stamping polishes and plates for miles. I got a clear jelly stamper to try and I'm smitten. 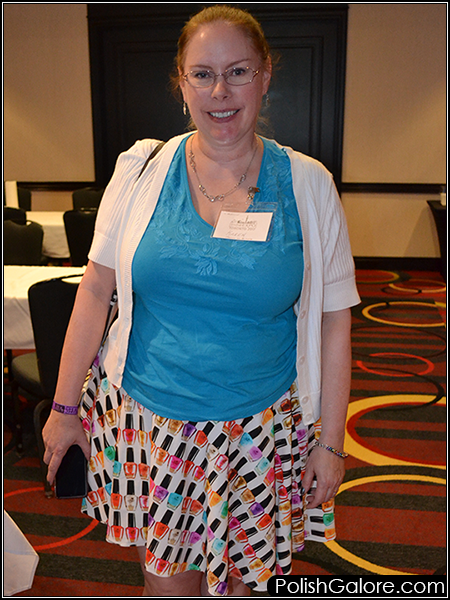 Her skirt was so awesome - I loved it! Lovacado is a Canadian brand that really caught my eye. I bought one of the oils and have been mixing it with my moisturizer and I absolutely love it. I thought the oils might be too harsh for my skin but not at all! 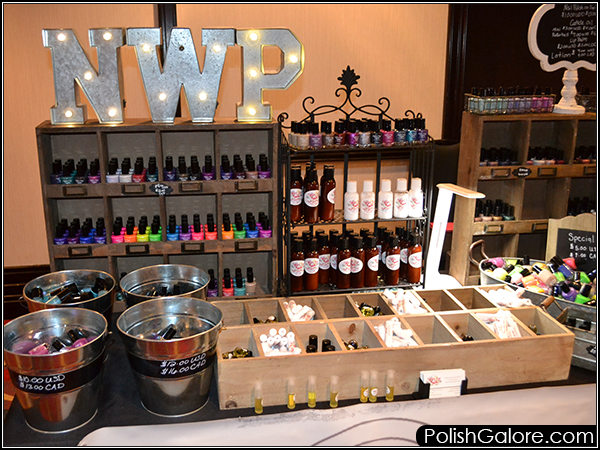 Native War Paints was on hand - I'm swooning over the light up letters and have a huge desire to get some for my house! 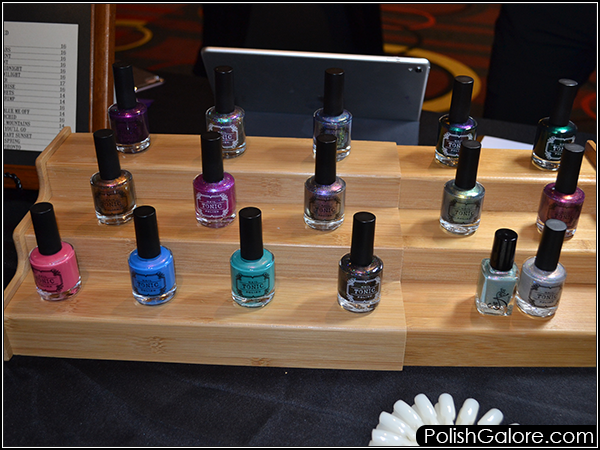 Pahlish wasn't able to attend but sent polishes as well! 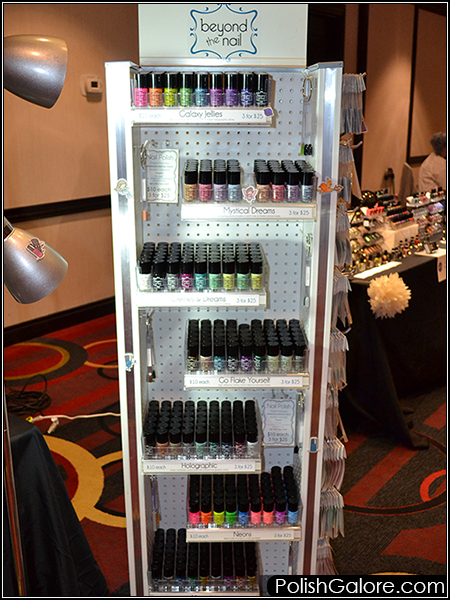 This was the IKEA Helmer storage unit that was filed with indie polishes for the Paint It Forward silent auction. Over $1200 USD was raised with 100% of the money going to Mount Sinai Marvelle Koffler Breast Cancer Center in Toronto. 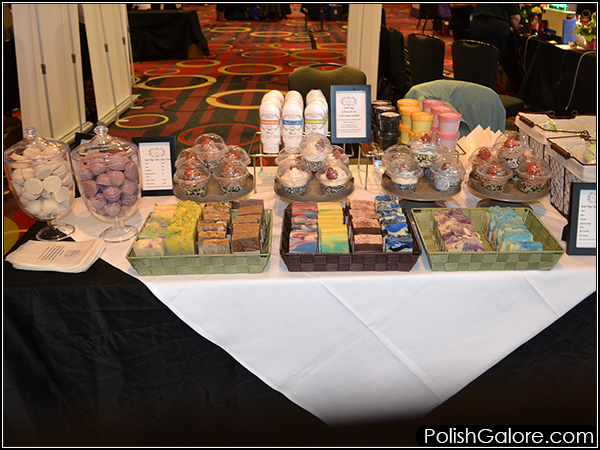 SoGa was a soap and bath bomb booth that I loved smelling. I ended up buying a bunch of the maroon bath bombs that smelled like Merlot wine. 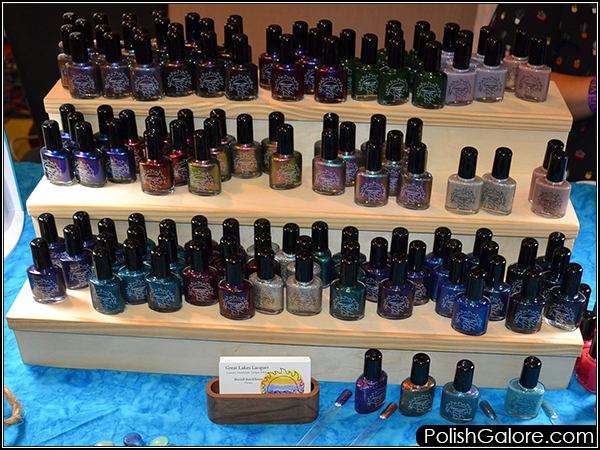 Superficially Colorful sent her line of polishes and some bath bombs along for the ride to Canada! The bottles are too cute! 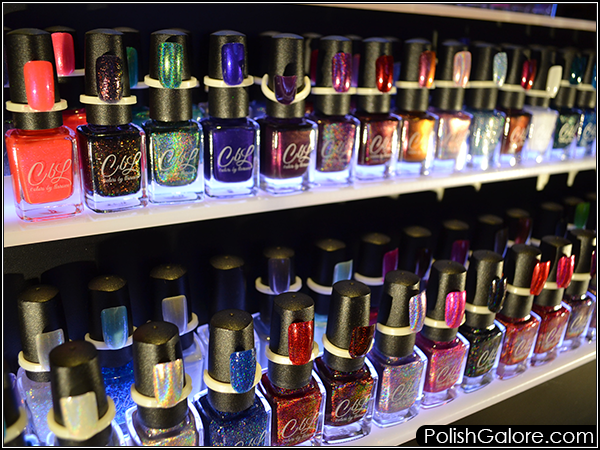 Tonic Nail Polish had a snafu with customs and so she was only able to carry around 200 bottles in her luggage. I was super happy to see her again and grabbed Come Wander which I hope to have reviewed soon because it's AMAZING. Unfortunately, I did miss a few tables - Cuter Cuticles (but I bought her Barrier Butter in Lilac), Moo Moo's Signatures (which had a great 24K cuticle oil! 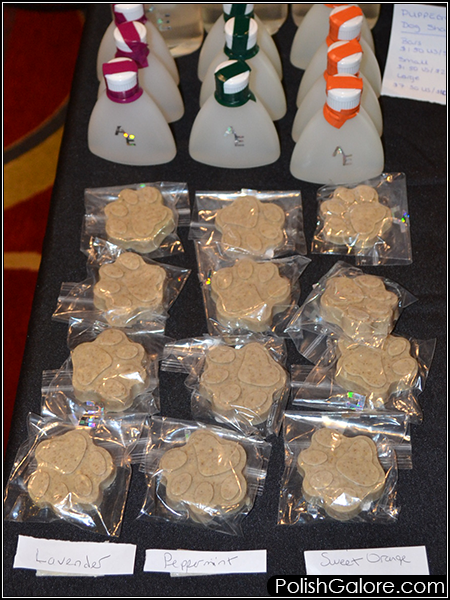 ), and Clionadh Cosmetics which had some sweet looking highlighters and shadows. There were also tutorial tables that with some very happy ladies and gentlemen who learned new techniques and nail art designs over the day. Overall it was a great first show and I look forward to the next one! Check out other bloggers' posts!